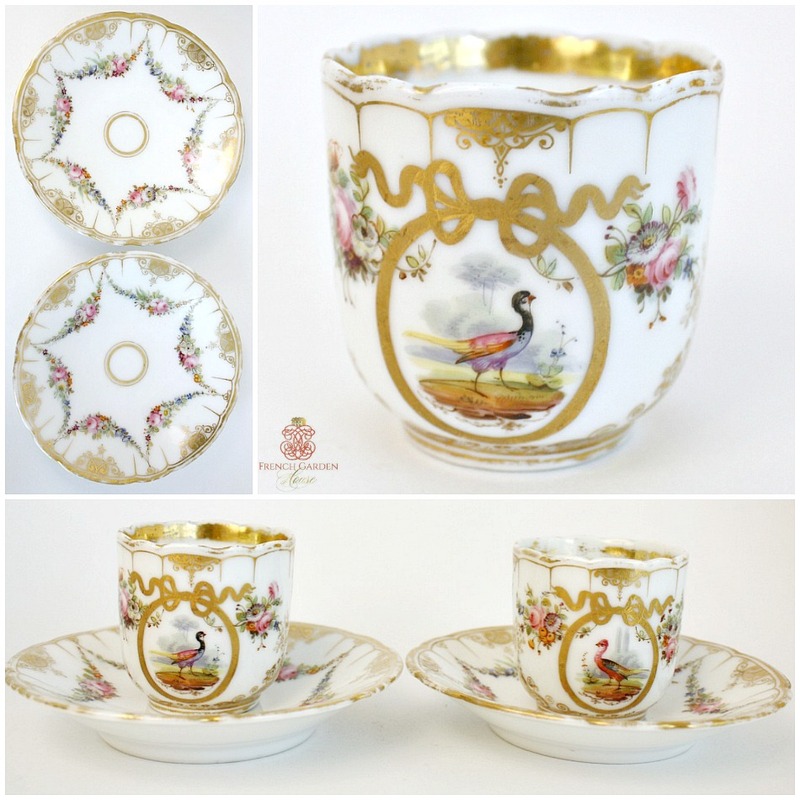 Opulent and beautifully hand painted and decorated 1800's porcelain demi tasse cups and saucers, this two cup set was lovingly used, but well taken care of for over a century. 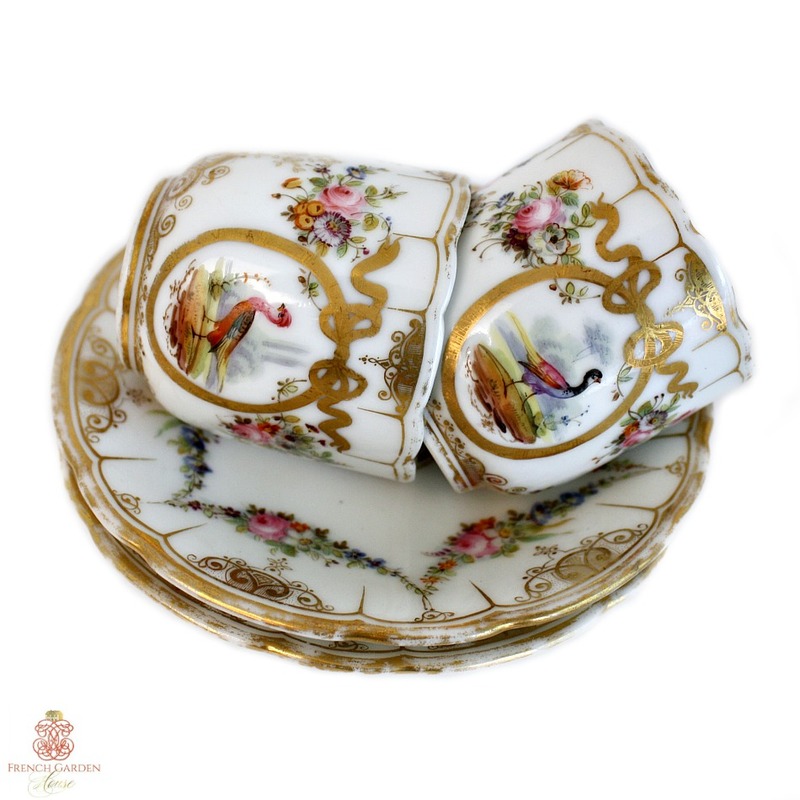 Delicate, luxury quality fine porcelain in pristine white has hand painted floral garlands, the central cartouches display a different exotic bird on each cup. Each hand painted bird scene is signed with miniscule signature of the artist. These are unmarked, as many of the old, old pieces are. 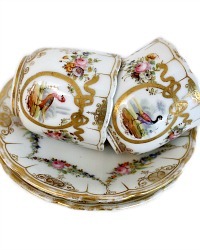 The cups are embellished with gilt transfer decorated nouveau scroll detailing. There is wear to the gilt as shown. 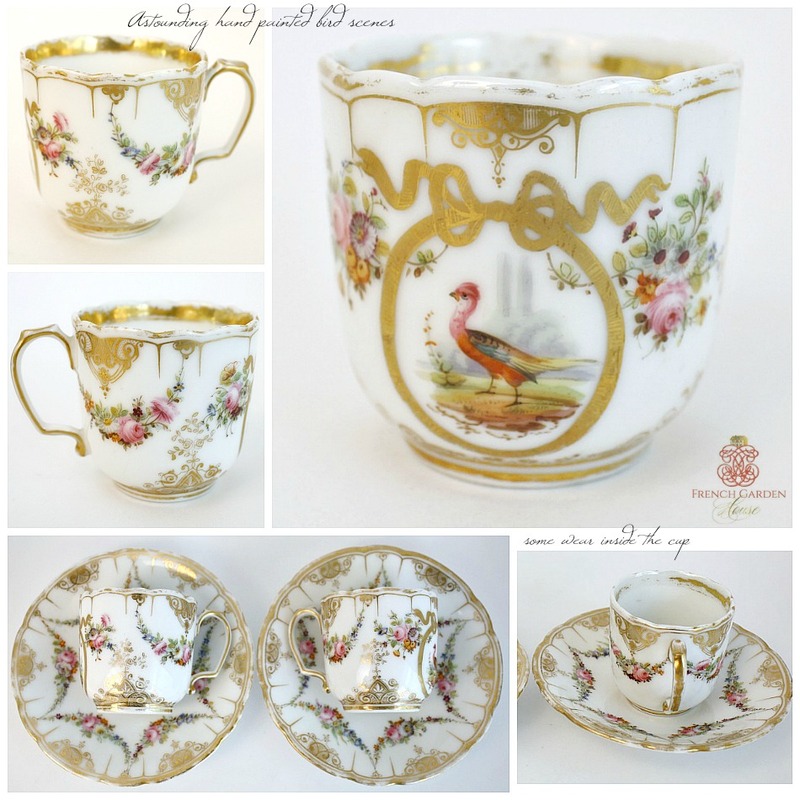 A superb set to spoil yourself with, display these with your collection of antique Sevres and Limoges as the fine art works they are, or use to drink hot chocolat with someone you love. Sold in a set of two, after surviving together all these years I can't bear to part these two friends. Measure: Saucer: 5~1/4"; Cup: 3~1/4" x 2~1/2" x 2~1.2"h.